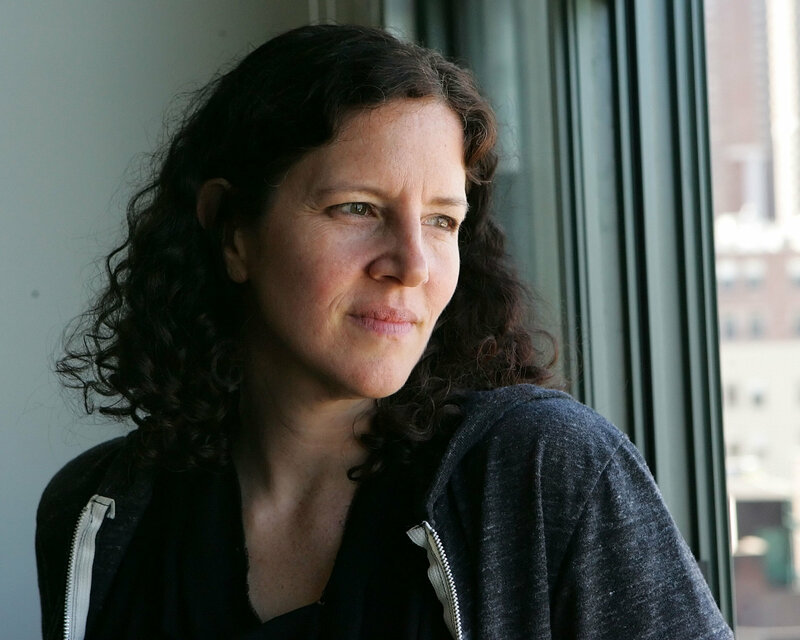 Why are you so sure Laura Poitras is a real person, when she easily could be just another layer of the simulation with a 'believable' backstory intended to confuse the public? The forensic analysis of her doesn't exactly make her seem real. "She" also just happens to be coming out with a documentary this year about whistleblowers. Wonderful free publicity, don't you think? anonjedi2 wrote: "She" also just happens to be coming out with a documentary this year about whistleblowers. Wonderful free publicity, don't you think? I think I understand the process explained in the video, but I still don´t understand how animating and moving part of a photograph (the taxicab at 0:26) can make previously invisible objects appear (the line on the tarmac under the taxicab). It's being called "electronic makeup". Their other work looks to be just typical entertainment type mapping that we see at events, although there's some other small effects that are interesting. Projection blood splatter for theatre, etc. I came across this neat 'magic trick' type special effect recently. A virtual bust. Simulated people are no fantasy. "Chris and Margot are on a front projection rig, and the camera is over their shoulder. The screen is in front of them, and we’re projecting the Statue of Liberty that we had shot from a helicopter, but with live action of them in the foreground. Shots like this were thanks to an interesting gentleman named Zoran Perisic: he came up with a front projection unit that weighed only 35 pounds, when the only ones around were 2,000-pound units! It had a zoom on the camera, and a zoom on the projector, and they were tied together so you could move past people, zoom in and out, and roll the projector around." "The technology used today as a way of combining actors with background footage still derives from the techniques he developed. Vlahos was not the first to use the blue-screen technology - it was invented by Larry Butler for the 1940 filming of The Thief Of Bagdad - but he made the process much more realistic and scientific. He refined the color-difference bluescreen process that made memorable visual effects possible in films and developed a way to minimize the unfortunate side effects of earlier methods. Vlahos' breakthrough was to create a complicated laboratory process which involved separating the blue, green and red parts of each frame before combining them back together in a certain order. He moved the process along and introduced the use of motion control cameras during bluescreen work, first for the spectacular 1959 remake of the epic Ben Hur, and later the Disney musical Mary Poppins (1964). He called his cutting-edge invention the colour-difference travelling matte scheme. Along with his son, Paul Vlahos, he founded the Ultimatte Corporation in Chatsworth, California, in 1976. His company's first Ultimatte units were analog "black boxes" which later evolved into advanced, real-time digital hardware and computer software products. When sci-fi and fantasy films became dominant at the box office, Vlahos’ techniques became dominant in filmmaking, essential to movies such as the Star Wars trilogy. Refinements of his pioneering technique were used to make many of the blockbuster films of the 1990s, notably Titanic (1997), in which dangerous, expensive or difficult to film scenes were finally possible. Motion control cameras allow the film makers to photographic multiple passes of a shot. This way multiple people photographed at different times, could be composited over the same background, with the same camera move. This could be used to create space station Zero gravity scenes, for example, or even to fake a 'vomit comet' style' jet plane flight, if one desired to do so. Interesting swimming special effects shot explained at around 9:25. The Black Pirate is a 1926 silent adventure film shot entirely in two-color Technicolor about an adventurer and a "company" of pirates. It stars Douglas Fairbanks, Donald Crisp, Sam De Grasse, and Billie Dove. When viewing the effect please recall all the aerial footage of airplanes and jets flying like schools of fish or flocks of birds. Model planes or jets could easily replace actors. Last edited by ProperGander on Sat Oct 10, 2015 4:44 pm, edited 3 times in total. "He is an inventor and holder of several patents on Front-Projection and 3-D Cinematograph. He was Special Effects Director/Supervisor or Consultant on: Superman - The Movie, Thief of Bagdad,... 2001: A Space Odyssey (animation stand - uncredited)... " He has won many awards for his work in Visual Effects and Technical Achievement." "Perisic: We had a lot of challenges on Stanley Kubrick’s 2001- A Space Odyssey with spacecraft and rockets flying against star backgrounds; I felt that there had to be a more efficient way other than rotoscoping and hand painted mattes. Later, while working at Yorkshire TV in England, I was experimenting with slit-scan, using back-projected live action images instead of back-lit moiré patterns as we had done on 2001 – A Space Odyssey. The results were interesting but with limited practical use. I wondered if I could use a thin strip of front-projection material in place of a regular clear slit; I could change the shape of the slit for each frame and so animate the slit-scan distortion effect. This would require mounting a small projector in front of the camera on the slit-scan machine I had built (and installed in our spare bedroom much to the annoyance of my wife)." ProperGander wrote: A virtual bust. Simulated people are no fantasy. Just because realistic CGI human animations can be created,it does not mean every actor on TV or in films needs to be CGI. There is clear history of actual people being in on the scripted fictions presented as fact. CGI is more than likely used for crowd scenes and shots that show the person from a distance. Here too, simple traditional shots could be used and the footage composited. Of course, one never knows, and I wouldn't be surprised at all if moving forward the screens get filled with completely artificial actors. No doubt it is gong to be more difficult, if not impossible to tell the difference. In any case most CGI uses motion capture to create the realistic motions easily, so an actor is actually used. It is highly unlikely that there is some magic artificial intelligent computer program that creates Star Trek style hologram people. We cannot examine technology we do not posses. We can look to how Hollywood does it and extrapolate from there. Of course I am failing to recognize that someone can easily record motion capture and edit it, and play it back again, so there is reason to think that the actual motions of an actor might be 'canned' or recorded, or artificial. I guess maybe it is not more difficult to do that anymore. The more I write and consider the technology, the more I realize that it is entirely possible that there are CGI actors being used today on the news. I do think one needs to look at high quality footage if they are looking at, or for glitches. Some glitches can be explained by the digital compression process itself. For example, a common method that the compression algorithm uses to keep the file size down, is that if there isn't much motion in a portion of the screen, the image is repeated frame after frame. This means that for all practical purposes that portion of the video is a still image. If there is motion bur due to rapid motion, then that might show up as a face disappearing from a moving person, for instance. I think it important to remember that there are multiple techniques, not all of it needs to be completely computer generated. I agree strongly with your perspective — your type of awareness. Actors/Actresses — often just with simple sunglasses, hats, spare appearances, etc. We must avoid the trap of Goldbuggery, wherein we are too eager to draw comparisons to typical physiognomies and claim it's likely for them to be the same underlying actor despite obvious problems. However, in cases of characters that make spare appearances to fluff up a PsyOp (especially fake "persecuted whistle-blowers" and "wall of tears" contributors, such as victim/vicsim "family members") we should take careful note of those careful appearances. I've been so focused on researching traditional special effects and how a computer was not required to create believable illusions, that I was overlooking how far the technology has come and how much more difficult if not impossible it is going to be to distinguish illusion from reality as we move forward. You are right. There is more to it than I was getting at. The advances seem to be in illusion making and not actual space travel or atomic weaponry. This would be the 'top secret' technology we hear so much about. How much more advanced is it behind closed doors and in ultra cooled environments?